Pack Size: This pack contains 2 kgs of powder. 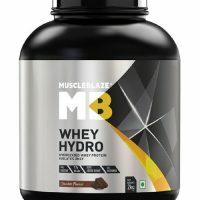 The new MuscleBlaze Whey Gold is powered by the purity of whey protein isolate, the purest protein and has set a higher benchmark of purity for other proteins. 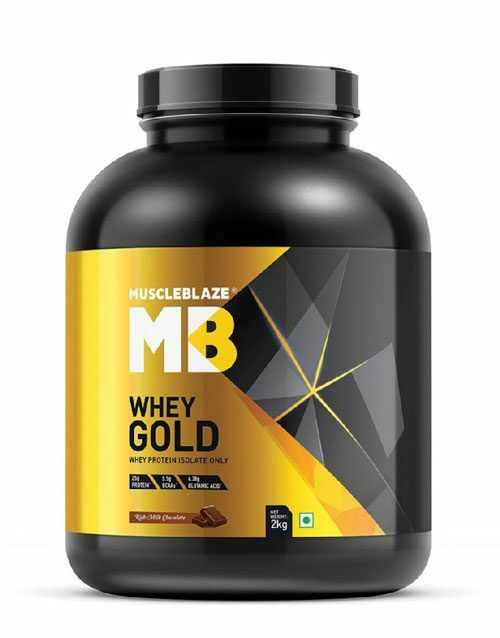 With only 1.83g carbs and 0.46g fat in a serving, MuscleBlaze Whey Gold is the most premium protein, especially for those fitness enthusiasts who would settle for nothing, but the best protein for themselves. 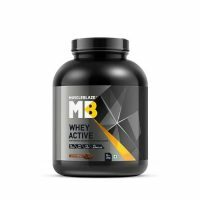 A 30g serving size of MuscleBlaze Whey Gold contains 25g of Whey Protein Isolate. This helps speed up the rate of muscle recovery, post exercise and delays the onset of fatigue. Both these factors allow the gym enthusiast to work out for a longer duration. 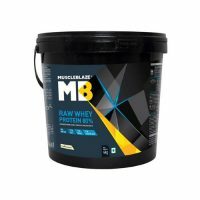 10.96g Essential Amino Acids in a serving of MuscleBlaze Whey Gold support lean muscle gain and enable you to maximise your muscle building efforts. 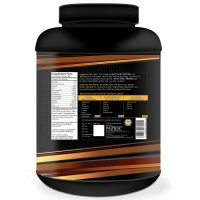 4.09g Glutamic acid helps initiate muscle recovery post workout.